Our vision is of a world where everyone gets the help they need in a crisis. More than 21,500 volunteers and 4,100 staff at the British Red Cross work together to help individuals and communities prepare for, cope with and recover from emergencies. This includes everything from disasters and conflicts to individual injuries and personal challenges. Our work includes support in emergencies, refugee support, independent living services and first aid and humanitarian education. We operate both in our own right and as part of the International Red Cross and Red Crescent Movement, the world’s largest humanitarian network, which has more than 17 million volunteers across 190 countries. We refuse to ignore people in crisis. For more information, visit the British Red Cross website. 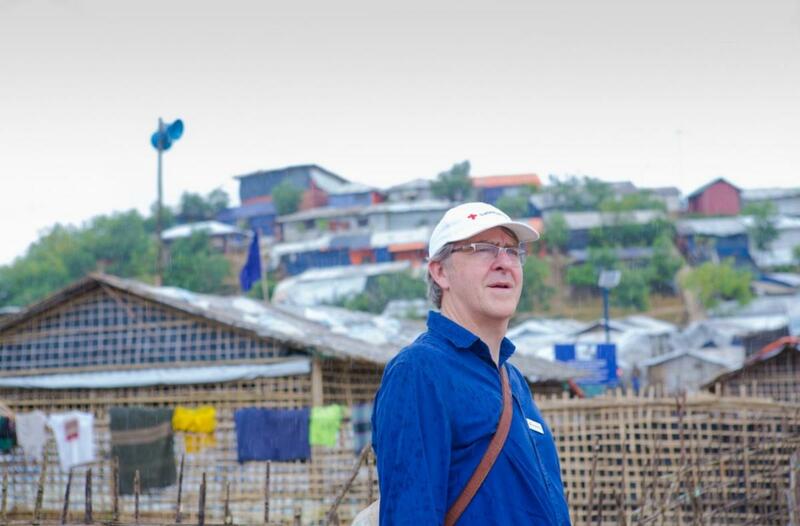 Mike Adamson, Cheif Executive of the British Red Cross and a DEC trustee, meets the people in limbo in the world's largest refugee camp. "This is one of the world's most cyclone-prone regions. It's a frightening prospect." The insidious spread of cholera in the Democratic Republic of the Congo (DRC) threatens to dramatically worsen what is already one of the world’s largest humanitarian crises.